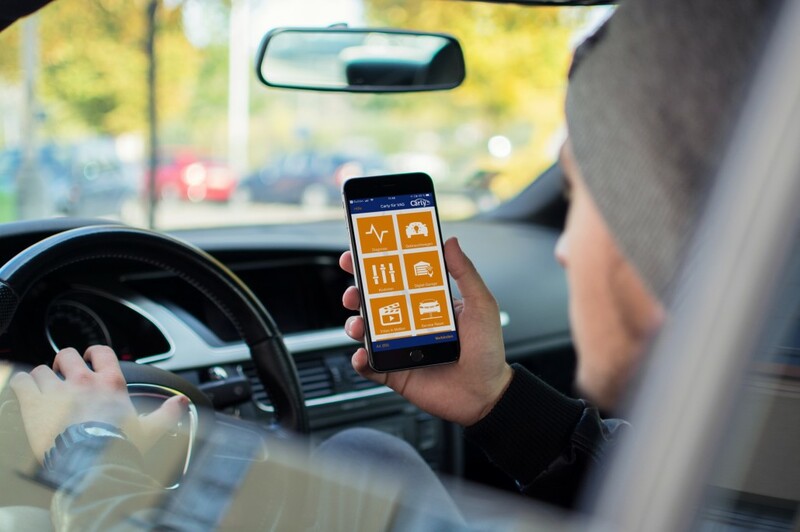 German automotive software developer Carly, a leading specialist in car-focused connectivity solutions, has further expanded its extensive app portfolio, allowing car owners to have a direct ‘dialogue’ with their vehicle without the need to visit a garage. Specifically, Carly’s VAG App furnishes owners of VW, Audi, Seat or Skoda cars with access to their vehicles’ many ECUs and information stored within them, along with the ability to run diagnostics with accuracy similar, in quality terms, to that afforded by professional garage services. Coding is not the only feature made possible by the software developed by Carly. Access to on-board computer systems means that the app can ‘read’ the car’s previous history, including actual mileage (which may or may not coincide with the dashboard’s information, highlighting discrepancies and possible ‘clocking’ issues), previous owner’s driving styles, average fuel economy, speed and journey times. Crucially, it also lists fault codes (operating in a manner similar to the garage’s own diagnostics system), highlighting potential problems with the engine, brakes, infotainment, climate control, steering systems and many others. Handbrake release: brake pads on electric handbrakes are ECU-controlled, and therefore need the right software when it comes to DIY repairs or maintenance. 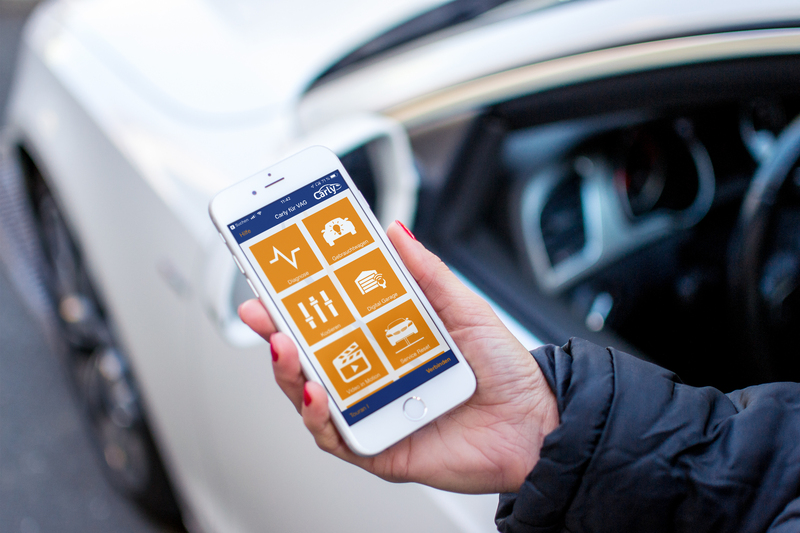 The Carly VAG App can control brake pad release of an electric handbrake, avoiding an expensive trip to the garage. 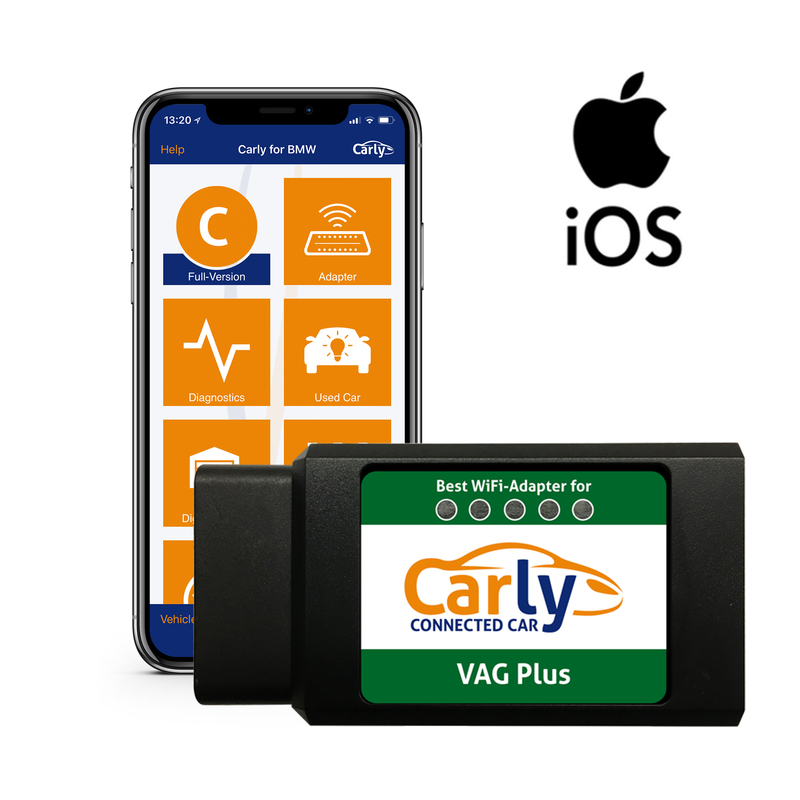 The Carly VAG App suits VW, Audi, Seat and Skoda models built from 2000, including the Golf (4 to 8 version), Octavia 3 and Audi A3 (8P), as well as Porsche models. Carly’s App portfolio also caters for BMW (incl. MINI), Mercedes, Toyota and Renault cars. IOS and Android versions of Carly’s apps for mobile phones and tablets are available on Apple AppStore and Google PlayStore, as well as direct distribution via Amazon UK. Prices start at £48.99 in the UK. ‘Fuller’ versions allow for an even more personalised experience. Carly supplies proprietary hardware alongside the software, returnable with the free version of the App, and priced at £44.90 (Android) and £61.90 (IOS) when accompanying the Pro version.